Wolf Commercial Real Estate, the foremost Cherry Hill commercial real estate broker that specializes in Cherry Hill commercial real estate listings and services, now has available 2,010 square feet of prime Cherry Hill retail space for lease, along with several pad sites, in the Barclay Farms Shopping Center Cherry Hill NJ. 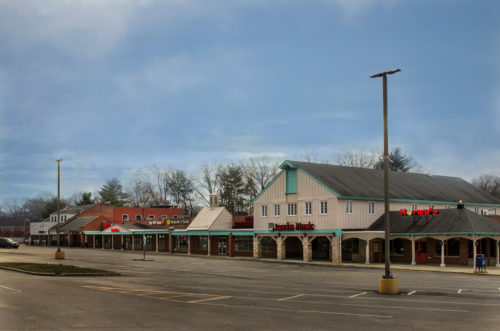 This retail space for lease in Cherry Hill is in a well-placed retail center located on a highly traveled state highway. The location of this Cherry Hill retail building for lease provides maximum exposure to thousands of shoppers every day. The asking lease price for this retail space in Cherry Hill in the Barclay Farms Shopping Center is $16.00 per square foot NNN. This Cherry Hill retail space for lease at Barclay Farms Shopping Center Cherry Hill NJ is available for immediate occupancy through Wolf Commercial Real Estate, a Cherry Hill commercial real estate brokerage firm with expertise in Cherry Hill commercial real estate listings and services. This Cherry Hill retail building for lease has entrance and exit access from Route 70 east and west and this retail space for lease in Cherry Hill also has pad sites available fronting along Route 70. This retail space in Cherry Hill is being offered for lease by Wolf Commercial Real Estate, a Cherry Hill commercial real estate broker that specializes in Cherry Hill commercial real estate listings and services. This retail space for lease in Cherry Hill also features wide sidewalks. There is ample parking at this Cherry Hill retail space for lease, which assists clients with attention-grabbing above-store signage. The façade and lighting at this Cherry Hill retail building for lease in the Barclay Farms Shopping Center Cherry Hill NJ is scheduled to be updated in 2017. This retail space in Cherry Hill in the Barclay Farms Shopping Center is close to Kings Highway, I-295, and the New Jersey Turnpike. Current tenants at this retail space for lease in Cherry Hill at Barclay Farms Shopping Center Cherry Hill NJ include a wide range of national and locally owned retail, service, and food establishments. For more information about this Cherry Hill retail space for lease in the Barclay Farms Shopping Center Cherry Hill NJ, or about other Cherry Hill commercial properties for sale or lease, please contact Jason Wolf (856-857-6301; jason.wolf@wolfcre.com) or Christopher R. Henderson (856-857-6337; chris.henderson@wolfcre.com) at Wolf Commercial Real Estate, a leading Cherry Hill commercial real estate brokerage firm.